The Hyundai brand has long been known as a leader in building affordable quality vehicles that last. 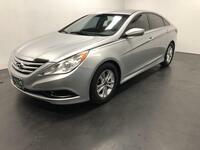 While Hyundai’s starting price tags are already reasonable, considering a used Hyundai model will offer significant savings making them a perfect choice for first time drivers or anyone looking to score a great deal on a used car, crossover, hatchback, or SUV. 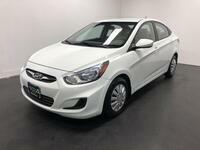 The Hyundai lineup is well stocked and offers a variety of models sure to suit almost all shopper’s tastes. We try to keep a variety of Hyundai’s most popular models in stock at our dealerships in Longview, TX and Texarkana, TX like the Hyundai Tucson, Hyundai Santa Fe, Hyundai Elantra, and Hyundai Sonata. Though, because we are a used dealership our inventory is always changing. 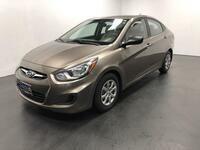 If you have a specific pre-owned Hyundai model in mind, give us a call and let us know. If we don’t have it available, we can look around and hopefully find a match. The Hyundai lineup is filled with a number of car and crossover models that give drivers plenty of options from compact commuter vehicles to large family haulers. No matter the pre-owned Hyundai model you have your eye on, we can find it for you at Autosmart. To see which models we currently have available on our lot, car shoppers can use our easy-to-search online inventory pages. Using the filters on the left-hand side of the page, choose the make, model year, mileage, price and color options you are interested in and our inventory tool will show you all matching models. From there, view detailed information that can help you narrow your search. At Autosmart, our goal is to help you realize your dream of car ownership. Our sales and finance teams can’t wait to collaborate with you to find an affordable model and fair rates that set you up for success. We look forward to working with you.